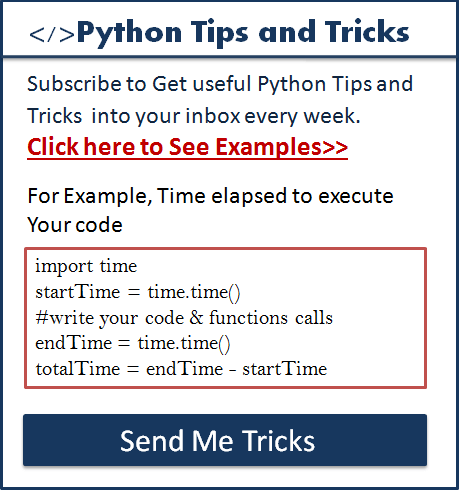 As you already know using Python input() function, we can accept a string, integer and character input from a user. 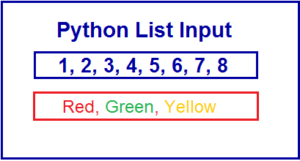 However, is there a way to accept the list as an input in Python? Yes, it’s possible. Note: This article is applicable for both Python 2 and 3. I have created an example in python to accept a list of numbers from the user and calculate the sum of the list of numbers. Let’s see the example. 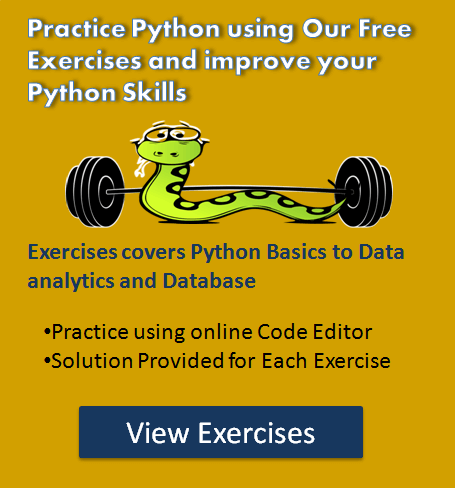 As you know Python input() function always convert user input to string. We accepted list element from a user in the format of a string separated by space. Note you can also accept list element input separated by comma or another separator you need to pass the separator as argument in split() function. We are using input_string.split() to split a string by spaces and added those elements to list. We iterated a list using for Loop and converted each element to an integer and calculated sum. What about getting a list of string as an input? We can also accept a list of string input from user same as we did for a list of integers. Let’s see the demo. Python Program to get a list of string as input from a user. In this demo, we are accepting all family member names from a user. we accepted the input list element from a user in the format of a string separated by a comma. In example “Python input list of strings”, you separated the elements by comma while some elements were left with blank space in front, how could I accomplish the same separation without leaving with this blank space in front? your exercises are very helpful. I got motivate to learn python from you only.. Please let me how can i attend your session or exercises and videos.. Please share me your availability on my personal mail id..
Hey Shiva, Thank you for your appreciation. Very helpful, the explanation is crisp and good. are getting printed but when i write it into a file , i see only jessa is printed. Could you help me on this ? Is there something im doingg wrong?